Grower Direct franchise business opportunity. Free Grower Direct business franchise information. 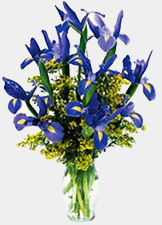 Grower Direct is the leading flower retailer in the Canadian floral business. Established in 1990, Grower Direct has serviced Canadian communities with quality flower products for almost twenty years. We have tremendous brand strength and recognition, contentious support systems, and flexibility in our franchise structure that helps our independent store operators excel in their markets and succeed where other independents have not. Grower Direct is a simple concept built strictly with our customers first in our mind. Our mission from day one has been "to make the enjoyment of quality fresh cut flowers and affordable everyday event in your home or workplace." We were the one’s who created the dozen roses for $9.99 offer! · Are you passionate about business? · Would you thrive in an environment of endless possibilities? · Are you interested in operating your own successful business? If you answered YES to these three questions, Grower Direct may very well be the right franchise solution for you. Grower Direct has many business aspects that prove advantageous to our store operators. For starters, the cost barrier to launch a Grower Direct store is far less than the majority of franchise systems on the market today. In addition, we have kept the same reasonable royalty and fee structure system we started with, making the cost to run a Grower Direct store more than affordable. Grower Direct empowers our independent store operators to run their business as they see fit. We are not a stringent, hard lined franchise system that dictates the terms, processes and procedures to you. With Grower Direct, we support our store operators in all aspects of their business operations and are here full time to be of service to you. The possibilities are great and advantages abundant with our Grower Direct franchise system. Please contact us for further details regarding launching your very own Grower Direct Fresh Cut Flowers store in your community. To learn more about the Grower Direct franchise opportunity, simply complete the form below.